Young girl sitting on packing case. 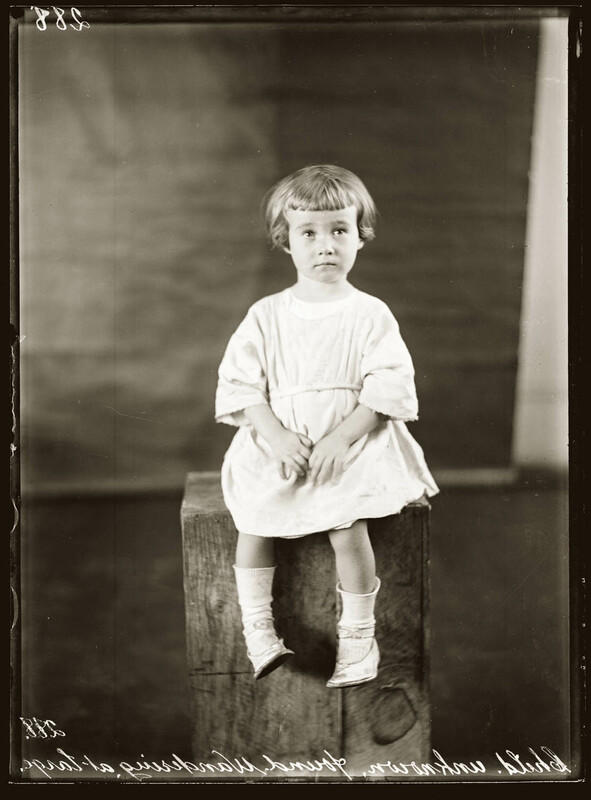 Photograph inscribed "Child unknown found wandering at large". Mid 1920s, details unknown. Peter Doyle with Caleb Williams City of shadows: Sydney police photographs 1912-1948 Historic Houses Trust, 2005, pp.153, 233.